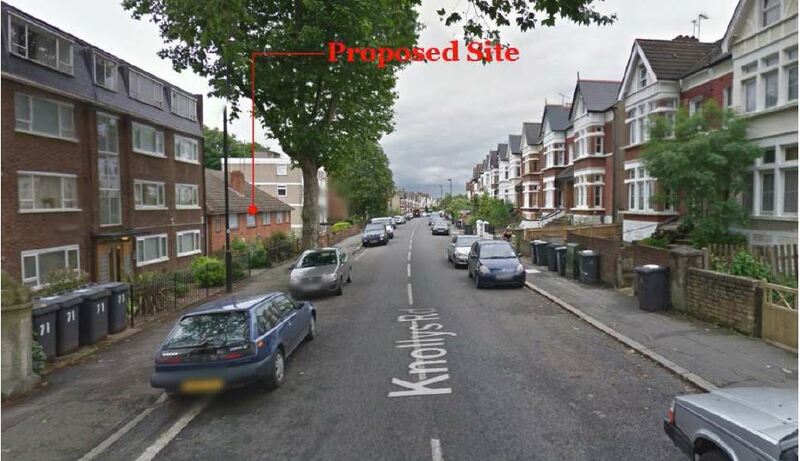 Developers plan to demolish the 4 homes at 73-79 Knollys Road, between Traemore Court and Tina Court, and build a 5 storey block of 22 flats with 3 houses at the back. The proposal is for six 1-bedroom, twelve 2-bedroom and seven 3-bedroom homes and will include up to 40% shared ownership / rent to housing association. There is off road parking for 20 cars. All the homes are to be built to Passivhaus the most energy efficient standard. The deadline for on-line comments is Tuesday 14th October.